Dolman Scott are based in Berkshire in the UK. I have come across them in trade publishing magazines and Google ads on the Internet, which is why their low volume of titles listed on Amazon surprised me. Their titles cover a span of approximately eighteen months, right back to November 2007. Again, Dolman Scott’s on line ‘portfolio’ page only features eight titles and they do not support their own on line bookstore. This is not a good sign in spite of the strong presentation of their website with built in flash media. These are very favourable options, particularly the Audio option, which is not something offered by many author solution companies. Dolman Scott suggest that authors should have their books reviewed and edited and consider using their services, particularly if they intend making their books available beyond just family and friends. The manuscript can be submitted in word file form or as an already edited and proofread print ready file (PDF) provided it conforms to their required format specifications. There are two packages on offer from Dolman Scott; the Standard service and the Premium service. The Standard service is priced at £450. This service requires the author to submit completed PDF files, cover and internal files. Dolman will supply paperback publication, ISBN allocation, one sample proof and five free author copies, on line and database distribution with royalties paid on any copies sold. Again, Dolman seems at pains to stress that the book must already have been edited and proofread. The Premier service, priced at £990, deals with a submitted manuscript which will be proofread and have a cover designed by them. 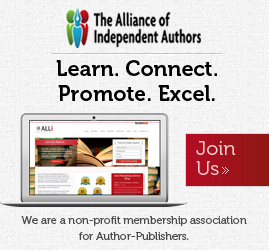 Authors receive all of the services in the Standard package, including one proof to check, ISBN and on line distribution, plus ten author copies, further author copies available at print cost plus 20%, and legal registration. Authors should note that the proofread is limited to 80,000 words and books beyond this will be subject to a £3.50/per 1000 words charge. Dolman list other additional services including cover design, basic and full design services, various depths of editing, proofreading required above the 80,000 limit, and costs for additional photographs/illustrations. Dolman Scott does also offer digital short prints runs and litho printing. Authors should contact the company directly for quotes on these print runs. Dolman does have further format options including hardback and combination print runs. More expanded details are available on their FAQ page. “What about Marketing my Book? We do not judge submitted books on their commercial merits, so consequently we cannot afford to market them. We do, however, offer help where we can. Marketing is down to the Author and we will give you basic tips on how to go about this, and give you the names of organisations which specialise in marketing books, including PoD books. Dolman Scott pay royalties at 80% net of the retail, meaning that print and wholesales discounts subtracted before that percentage is applied. Dolman do not give any examples of print costs, but authors should bear in mind that there is already a 20% to 25% mark up on copies sold to authors, so that author profit is based on 80% of what is left after all deductions are made. On a book retailing at £10.00, if we take away the average minimum wholesale discount of 40%, we are left with £6.00. Based on Lightning Source’s POD prices of £2.70 for a 200 page paperback—add Dolman’s 20% mark up—that leaves £2.76, with the author getting 80% of this (£2.20), and the remaining £0.56 going also to Dolman. Dolman Scott is up front about the fact that they do not market the books they produce for their authors. There are many author service companies who are not so up front and lead the author down an avenue of assumption about the success of their books once they are made available. While Dolman Scott is far from the most expensive service, they may not suit all authors’ needs. An author with PDF files might find a use here with Dolman Scott, but much of the work and expense still remains for an author to promote, market and reach their buying public. An author also does have the flexibility to use their own ISBN’s or Dolman’s if they wish. 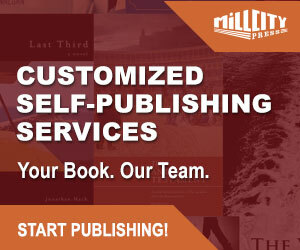 The fact that Dolman Scott has so few titles listed with Amazon may reflect the fact that many author’s using this author solution company choose to use their own registered ISBN’s and publishing imprints, treating Dolman more as a intermediary print solution provider than as an actual publisher. I have just come across your appraisal of Dolman Scott and would add this: I used Dolman Scott myself to publish my own book early this year. I had a pdf file ready for the book and another one for the dust jacket on the hardback cover, both were complete and the book had been proff-read. Dolman Scott were very helpful and easy to deal with. The book is now listed on Amazon UK. I have no hesitation in recommending Dolman Scott. Thanks for sharing your experiences of Dolman and your recomendation. You don’t say whether you submitted a pdf file to Dolman or a manuscript. I’ll take it that it was a manuscript and you used their premium service. From your comment it sounds like the proof ended up having more errors than the manuscript you submitted. For me, there are three red flags regarding Dolman. The fact that Dolman say they want preferably edited manuscripts – we can see why! They have a very small list of books. And, for me, the editing on their own website. At the risk of repeating myself in so many of the reviews I do of author solutions services – the webpage of a company is their shop window. if they can’t make a good impression there, then the perception given is that it will be transferred through to the service they provide. The spacing issue regarding the word perfect cd may be an issue of standard rather than Dolman’s reformatting. In book print, there should nor be a line space between paragraphs. That is the norm and would only have been adhered to if you sent them a pdf file. I will repeat again, a small Amazon listing for an author solutions service is often an indication that you are dealing with a ‘one man and his bedroom’operation. It is why in most of my initial reviews I always listed this. With most of the companies I check out and review, I do a companies registration check to see who are the directors, if there are any impending court cases etc. Many companies will have a different operating address than the company registration address. I do not doubt what you are saying about Dolman. They are very clearly a small operation. Nevertheless £100k is no small chips per year for a small operation. I just wish you had contacting me prior to your submission and I might (would) have guided you to a better solution. I have just completed a book manuscript for publication on this whole business and much of it will, I hope, address the concerns and experiences you have had. I have been reading all your reviews and have to say how indepth and informative they are. Thanks you. My only issue is that I have become more confused as to which company to go with. I note your comment above to Alan (“I just wish you had contacting me prior to your submission and I might (would) have guided you to a better solution…”). I wonder if you might be kind enough to offer me that guidance. I have written a work of fiction which is currently being proof read – it is a lengthy book (close on 700 pages at standard paperback size). The manuscript (rough copy) has been read by a number of teenagers (teenagers/adults being the target market) and I have very good feedback so far. I am hoping to cut the number of pages down following the proof reading and general tidy up. I have contacted a number of self-publishers and a couple of mainstream publishers for advice and quotes but am unsure what the best route would be for me. I would be gratfeul for your advice. First things first. Your book and the market you are targeting. For YA novels the length is normally prescribed at about 50 – 60k, with adult novels moving into the 60k – 120k mark. Obviously, there are a few exceptions, but this is a general and much advised guideline. So, straight away, Jawad, therein is your first obstacle and may be one of the reasons you are getting limited or no feedback from mainstream publishers. They are a busy bunch of people, and real sticklers for wanting authors to adhere to these market guidelines. 700 pages for a high end literary novel, written by an author with a proven reputation and bestseller history would have a hard job selling such a manuscript to a publishing house – even with a skilled literary agent in tow. You need to carve this book right back. Regarding self-publishing, again, a book of this length presents some practical problems. Some self-publishing services may now consider a book of that length viable for printing via POD. The unit cost would be high and potentially make the retail price uncompetitive for the book market. Generally self-published books tend to be priced higher than their mainstream equivalent. My main advice would be to study mainstream publishers who publish YA books. Look at their submission guidelines and follow them to the letter. Remember, your query letter is as important as your book itself. Have a look at books similar to your own in style, theme and plot. Start with these ones. 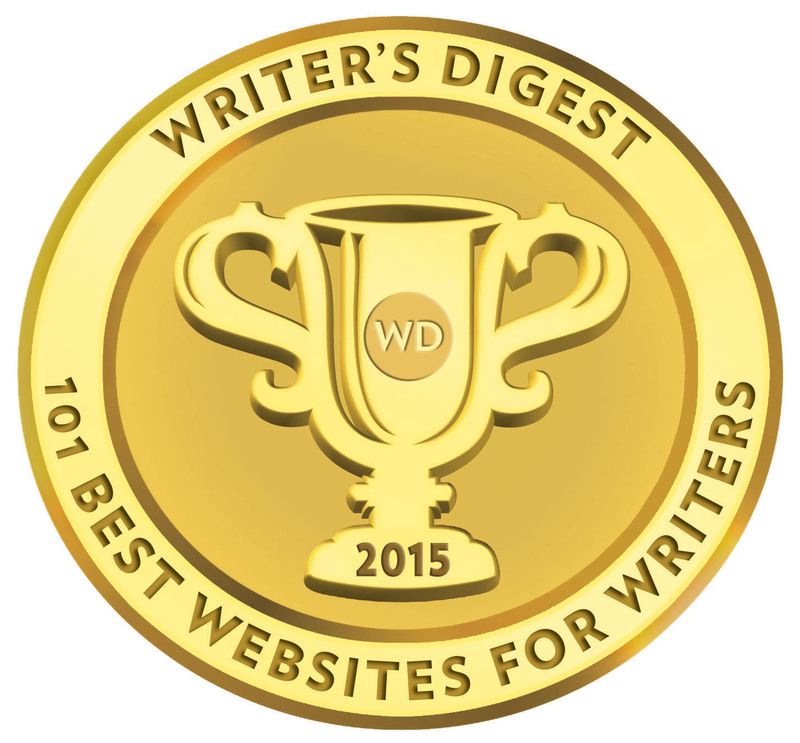 Most importantly, get your manuscript edited down to its market length, and go from there. Thanks for the speedy reply; that’s all very sound advice. The proof reading which my book is going through is partly aimed at cutting out as much as possible that is no needed. So I’m hoping to bring it down to a reasonable page count. If not then my other option is to put the story forward as two books! (There is a clean cut off point already). Supposing I do manage the task of reducing the page count down to make it viable for POD/self-publishing, what would you suggest then as a best option/print company to go with? Thanks again. Again, Jawad, I’m not sure you have thoroughly explored the option of mainstream publishing, and that is where you first need to start. We wanted to find someone to publish a hardback version of an eBook/paperback we had on Amazon because Amazon wouldn’t do it. We were going to use the material we had left over from publishing a paperback on CreateSpace at Amazon and foresaw all sorts of problems. Having dealt with Amazon before we were dreading every moment of the process that lay ahead of us as the hardback book was going to be 500 pages plus (that’s about 100 pages more than the paperback) and being so long had caused us all sorts of grief when we published the paperback. There was absolutely no need to have any anxieties. The service we received from Dolman Scott was excellent and the quality of the end product was just what we expected and wanted. We would recommend them highly for this sort of work and if I was marking them they would be within a decimal point of ten out of ten. I had some very strange emails from this company. The form doesn’t allow for less than 30 copies, so I emailed the company asking for a quote for 10 or 20 books as I couldn’t put this number on the form. They replied that this was correct, as they want to discourage people from ordering such a small number as it was as much work for 30 as 10. I emailed back and said it would a good idea to put this on the website. I got a reply that contained nothing but an exclamation mark. I phoned the company and spoke to Richard Chalmers to say I didn’t think this very professional. I said I thought, on reflection, 30 was better for me than 10. He asked me to fill in the web form, which I did. I few days later I received two emails blaming me for the situation and saying I should have used the Notes box on the web form initially to indicate how many I actually wanted. A rude and unprofessional company. I can’t recommend them at all.